Veterans' Day is an official flag day in Norway, and it's annually observed on May 8. In 2011, this observance substituted Liberation Day. 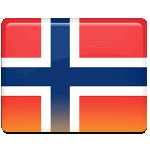 Liberation Day was an official flag day, commemorating liberation of Norway from the German occupation in 1945. The German occupation of Norway during the Second World War started on April 9, 1940. The so-called Norwegian Campaign began with Operation Weserübung. Norway had been fighting for 62 days, but eventually capitulated on June 10, 1940. On May 8, 1945 the Reichskommissar for Norway Josef Terboven committed suicide, and the German military forces in Norway surrendered to the Allied Forces. The anniversary of this date was proclaimed Liberation Day. In 1996 the government of Norway decided to dedicate the holiday of Liberation Day to the veterans, who survived World War II. This decision was adopted due to the declining number of the veterans. The government supposed to honor these people, as well as veterans of UN peacekeeping operations. In 2010 the resolution was passed and the first Veterans' Day was observed in 2011. Substitution of Victory Day with Veterans' Day caused disapproval from some organizations, including Norwegian Defense Association. It insists on debate about the change of the content and form of the day.